And the winner is Lainie! From Lainie's Little Things!! Congratulations Lainie!! And thanks to all of you for participating in my giveaway. There will be more of them I promise. Congratulations to the lucky winner!!!! Congratulations Lainie! You are one lucky woman! :-) Thank you so much, Caroline, for the amazing opportunity! What fantastic gifts! Enhorabuena Lainie, te llevas una autentiuca joya. Gracias a ti por darnos la oportunidad. Congratulations to Lainie. Thank you for the chance, next time. Felicidades a Lainie!!! y muchas gracias a ti por la oportunidad del sorteo, muchos besos. Congratulations Lainie! Enjoy this lovely prize. Thank you for this draw. Muchas felicidades a Lainie, se lleva un regalo precioso. Congratulations to the lucky winner. Thank you for the fantastic draw. 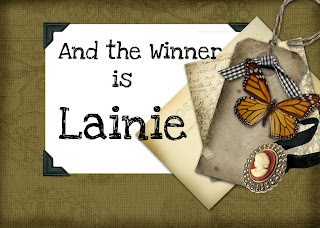 Congratulations Lainie, you are a lucky girl, winning such a beautiful giveaway !! felicidades a la ganadora, se lleva un precioso regalo y a ti agradecerte esta oportunidad. Por cierto te has apuntado al sorteo de mi blog? Congrats to lucky lainies andtahnk you for this amazin giveaway,miniregards from Spain. 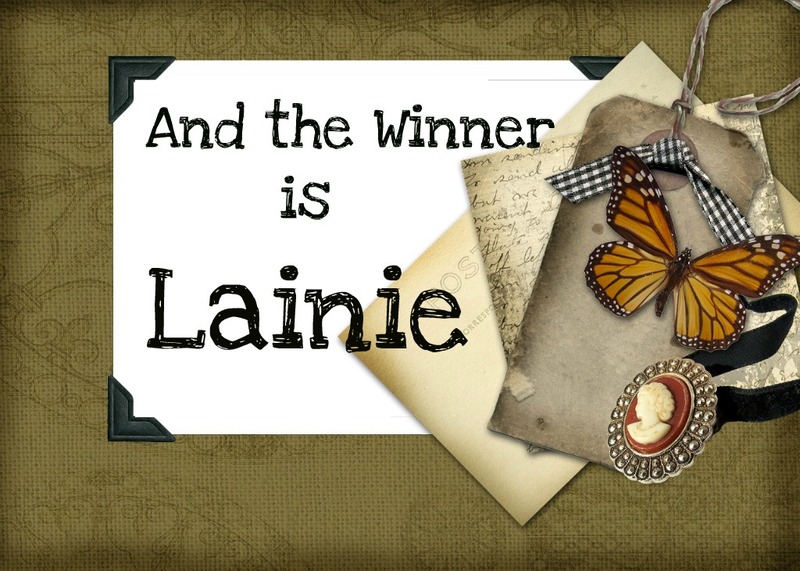 Congratulations to Lainie to be the lucky winner! And thank you for providing this giveaway. Congratulations to the winner! A beautiful giveaway, Caroline. Lainie ¡Felicidades!! !Que regalo mas lindo!!! Thank you thank you thank you!!!! I'm so excited to have won!! !